Injured at work? Contact a Personal Injury Lawyer Today! Personal injury happens anywhere and more often than you may think. You don’t have to work in construction or other high-risk professions to get injured on the job. According to the Bureau of Labor Statistics (BLS), there were nearly 3 million occupational illnesses and injuries in the year 2012. In 2014 there were more than 3 million nonfatal workplace injuries and illnesses reported. Individuals affected by workplace injuries not only deal with discomfort and pain they also pay for it. Covering unexpected medical costs increases hardship when one cannot return to work. If you or a loved one has been sick or injured on the job and are facing financial hardships due to loss of wages or medical expenses, you may need our help. Speak directly with one of our personal injury lawyers to determine your rights and entitlements. Most states require employers to carry workers’ compensation insurance. All federal employees are covered by federal workers’ compensation laws. In most cases, however, it is up to the worker to file a personal injury claim. If accepted, the workers’ compensation program provides for lost wages, medical expenses, and vocational rehabilitation. In many states such as California, Connecticut, and Florida workers compensation is required by law. The type and coverage varies from state to state but the protection against personal injury hardships are covered. Alternatively, states such as Alabama do not require any sort of workers’ compensation and leaves it to the discretion of the individual company. Workers’ compensation law in Florida only requires employers to have protection and coverage if the employer employs at least four employees. Many states have various requirements for companies that carry workers’ compensation insurance and even more exemptions so it is imperative to know exactly what your rights are and how to protect yourself and your family if injured in your workplace. 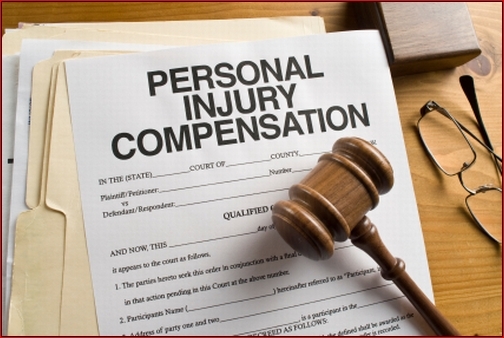 In most cases, it is up to the worker to file a personal injury claim. The processes can be difficult and confusing. However, if accepted and approved without delay, the workers’ compensation program provides for the injured employee. Even if your employer has worker’s comp, it may be possible to file suit against him if your illness or injury was caused by his reckless actions. This includes things like inadequate ventilation or lack of safety signs and poor workplace safety warnings. In this scenario, you would have to bypass the workers’ compensation system entirely and sue for damages in civil court. You also need an experienced personal injury lawyer to help you. As the plaintiff, you would be eligible for pain and suffering, mental anguish, and in many cases punitive damages.